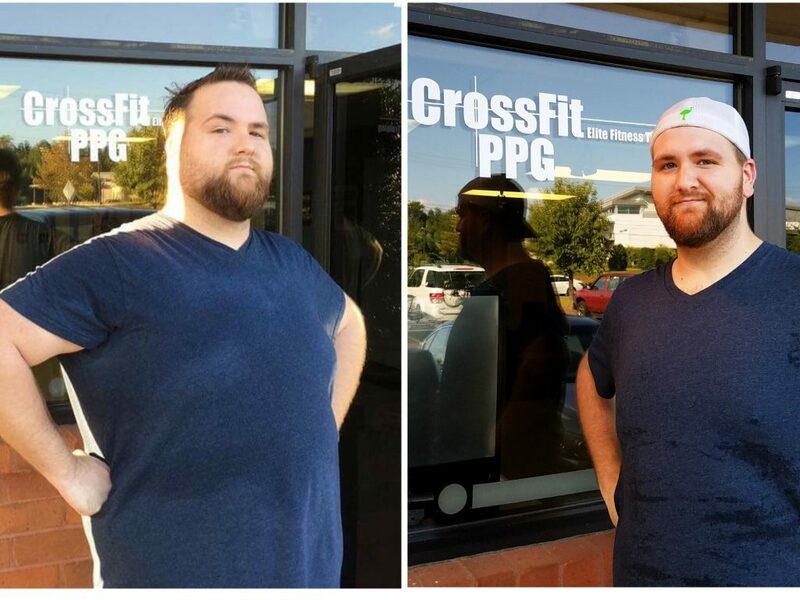 We at CrossFit PPG are awed and humbled by the efforts that are put in surrounding the Fit Life Challenge and are so inspired to hear the success stories, like this one originally posted on the Fit Life Insight blog. This is one is one of the best. The post is written by Chris, himself. We’ve known him for a while, but he was hesitant to come into the gym or get started on the challenge, but when he did, wow, did he ever commit! Every time we see him, its inspiration for us to keep doing what we do. Chris started the Fit Life Challenge and lost 25 pounds in the first 40 days of the challenge. He’s continued with it and now 8 months later is down over 80 pounds & feels better than ever! …and yes, Chris, we do feel like you are ‘some sort of superstar’! Back in January, Alex and Patrick really pushed me into doing the FitLife Challenge. I was really hesitant at first. I wasn’t the type of person to think that dieting would work for me. I was coming from the mentality that back when I lost weight in 201-2011, the only change in my diet was giving up soda. I was also working out three days a week with a personal trainer. Yet the weight came back after the session with the trainer ended. Then I began to drink soda again. Then I turned 21. Within a very short period of time, I stopped doing the things I needed to do, and began doing the things I shouldn’t have done. Fast forward to January. Before the challenge even began, I knew that I had to jump start my metabolism each day. I began eating two cups of Greek yogurt from Publix (they have a great selection of flavors and they are 12g of protein in each cup with limited sugar) and a 12oz glass of the Naked Green Machine, as it fell in line with the Whole 30 diet. Now I know you’re not supposed to eat dairy with Whole 30, but I was working with what I knew I could do. The lunches were the hardest part. I would come off of work eating Zaxby’s or Arby’s or even after a late night I would buy four burritos from Taco Bell and guzzle down the Large Baja Blast. So I started simple. I went to Publix and bought a premade salad every day and added chicken to it. The salads are a whole topic of themselves but for my sake, I’ll print out the recipe. After seeing how much salad I ate, I decided to buy all the ingredients and make my own salads at home. I made my own vinaigrettes and switched them up every few weeks so the flavor was always new. For the first month, combined with a strict breakfast and lunch diet, (dinner was the only thing I didn’t moderate.) I lost TWENTY-FIVE POUNDS! In one month I lost a whole size as well. Since January I have stuck to the Whole 30 diet (I have little cheat meals every so often as to keep me going), I gave up on soda, I stopped drinking beer (I still drink liquor a few times a month) I drink about one gallon of water a day. I sleep better than I used to. I ran an unbroken 3.75 miles for the first time in my life. Since January I have lost eighty-three pounds and counting. I am close to my first real breakthrough in my weight-loss goal of 250lbs by January 2018, maybe even 220lbs!! I don’t know where I would be if it weren’t for the people in my CrossFit classes as well as the constant encouragement from Alex, Patrick, Scott and Steve. Everyone at CrossFit PPG has gone out of their way to make me feel like I am some sort of superstar when in all honesty, they’re the ones who have been keeping me going each day at the gym. You are the only one keeping yourself from moving forward; why continue staying where you are only to end up going backwards? There’s no time like right now to get started on the path to living a fit life. Simply, go to FitLifeChallenge.com and enter your info in the box to get the Fit Life Challenge guide for FREE and see how you can join the challenge! 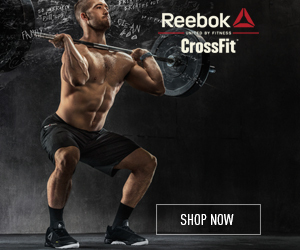 Interested in learning how CrossFit could work for you? Learn more and get a video series that shows how here.